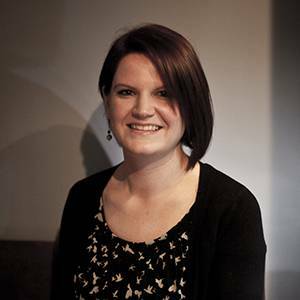 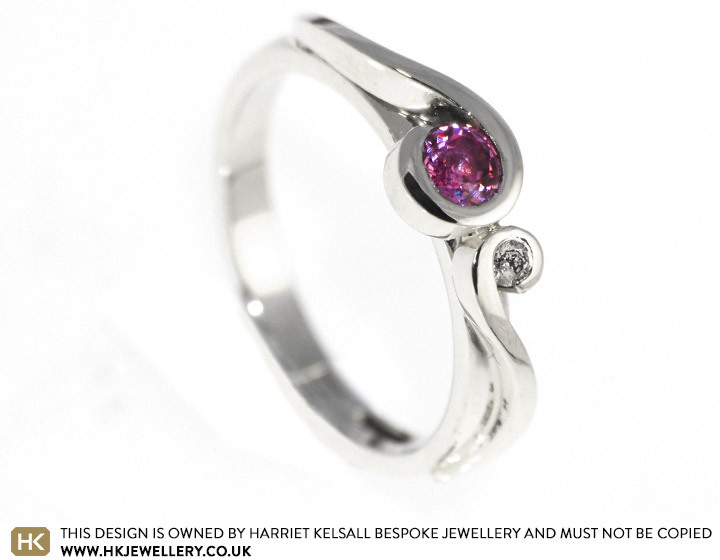 John and Liz came into the Cambridge studio to design Liz's perfect engagement ring. 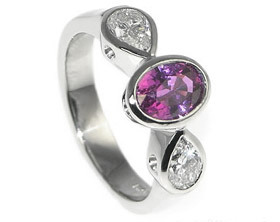 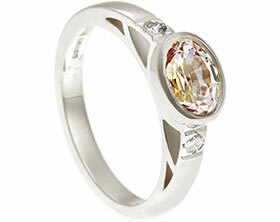 After going through our stone sourcing process the design of this beautiful 9ct white gold ring was finalised. 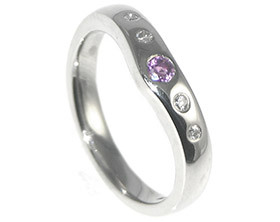 The main band is 2.5mm wide with a d-shaped profile. 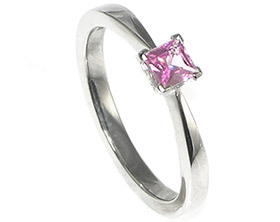 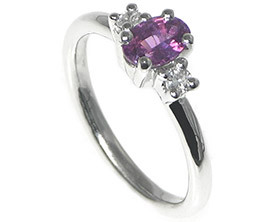 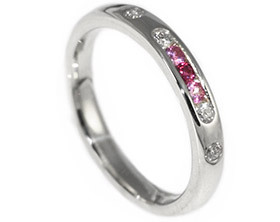 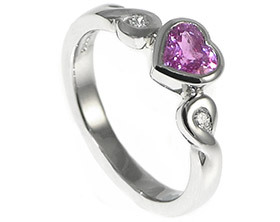 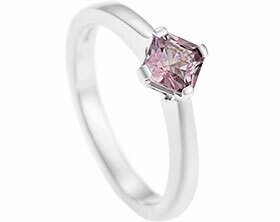 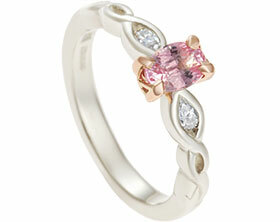 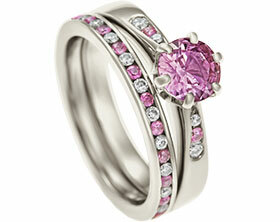 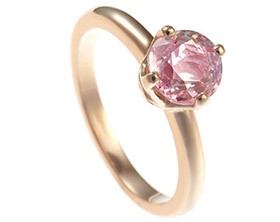 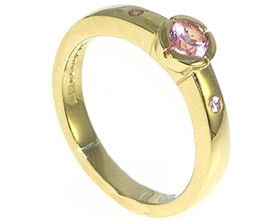 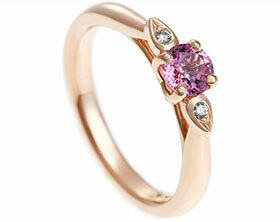 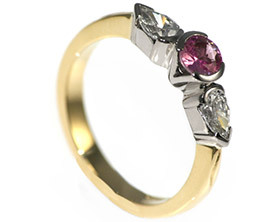 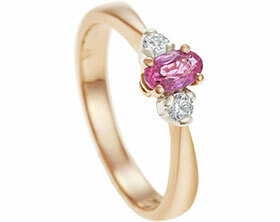 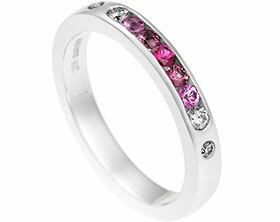 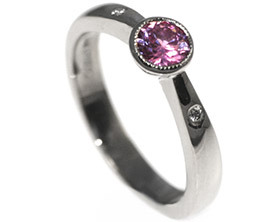 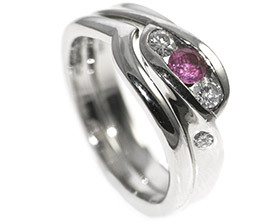 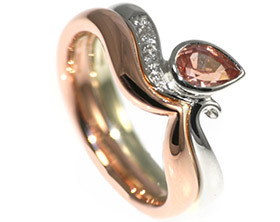 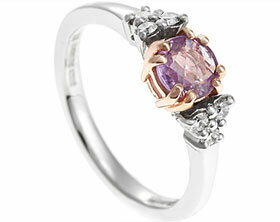 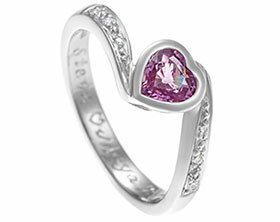 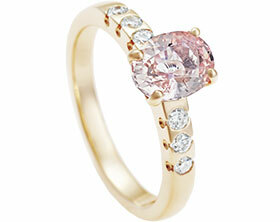 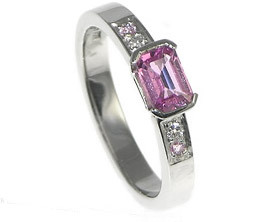 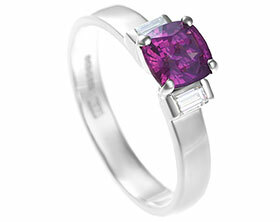 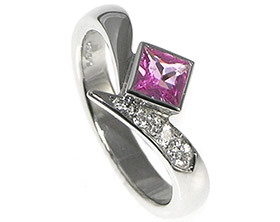 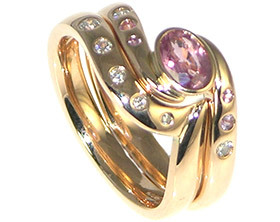 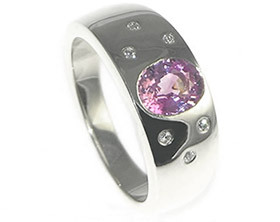 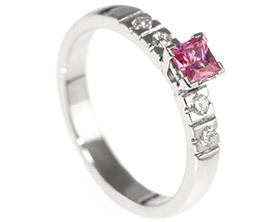 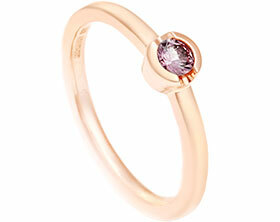 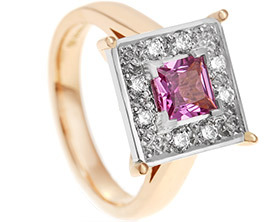 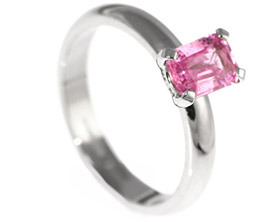 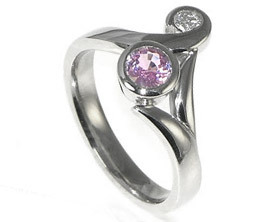 The delicate tapering overlay holds a 4mm (0.28ct) brilliant cut pink sapphire and one 2mm brilliant cut H Si diamond. 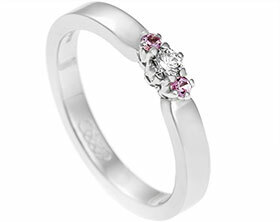 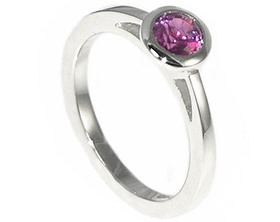 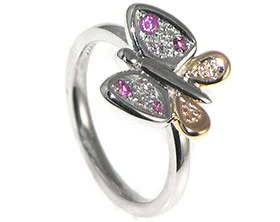 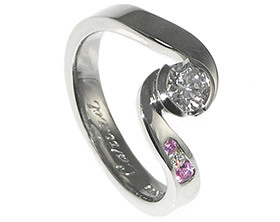 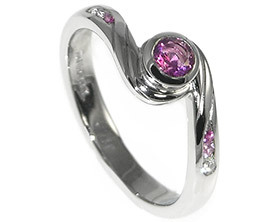 The ring has a highly polished finish.